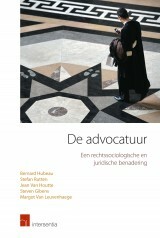 Bernard Hubeau is a full professor in Sociology and Sociology of Law at the Faculty of Law of Antwerp University since early 2008. He teaches “Sociology and Sociology of Law”, “Sociology of Law”, “Urban Planning Law” and “Legal aspects of the relation Administration-Citizen”. 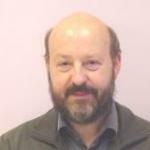 He teaches “Legal Aspects of Social Work” at the Faculty of Social and Political Sciences of Antwerp University. He also teaches “Sociology of Law” at Brussels University (Faculty of Law and Criminology). He is the former Ombudsman of the City of Antwerp (1996-1999) and of the Flemish Parliament (1999-2007). He was professor at the University of Utrecht (Netherlands) from 1991 to 1996 and Lecturer in a School for Architecture and a School of Police Studies. He’s editor in chief of a Legal Journal (“Juristenkrant”) and president of the Flemish Housing Council and a Social Housing Company. He’s a member of the Bureau of Integrity of the city of Antwerp.